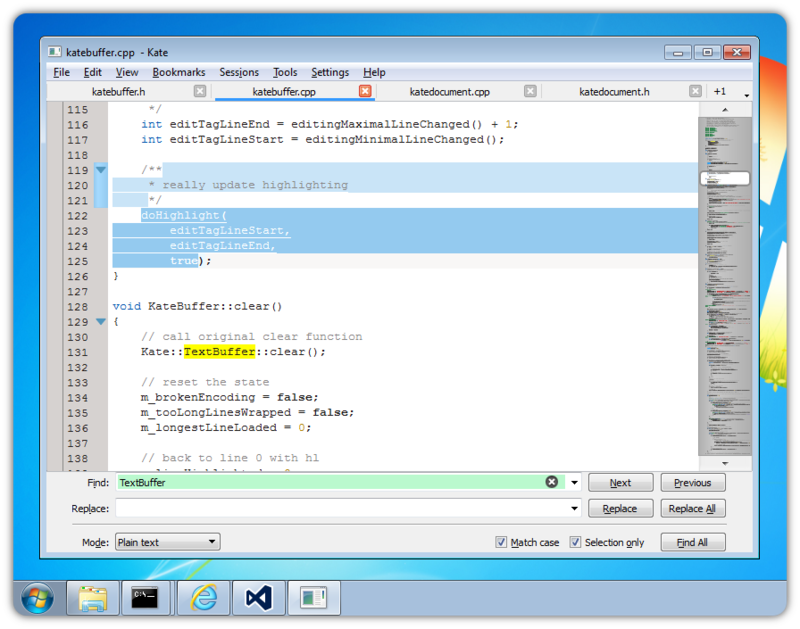 Here it goes, Kate5 running on Windows: This is an early version of Kate5 on Windows. It runs just fine but has some glitches, such as the white lines between selected text lines, or wrong margins in the search&replace bar, or showing a ‘+1’ in the top right corner, although all documents are visible. 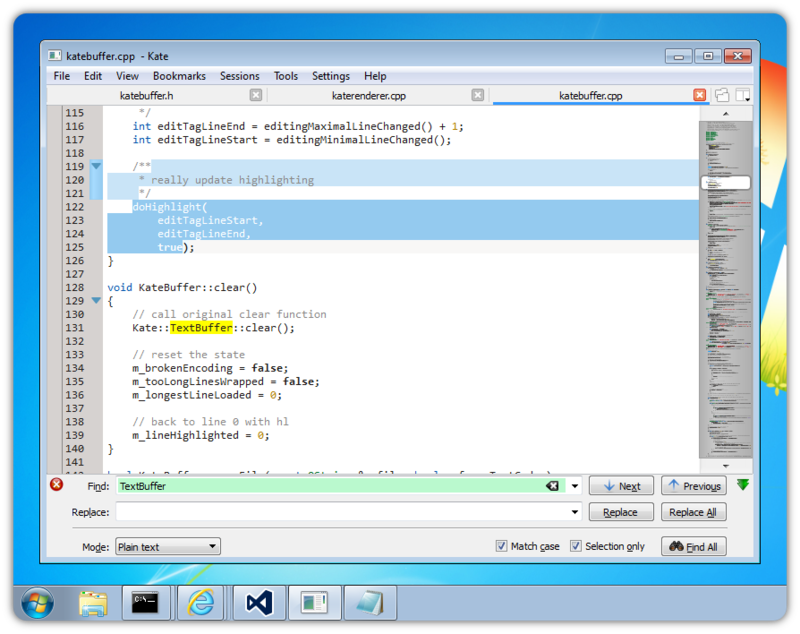 So essentially it works, and if all goes well, we hope to provide a good text editor experience with Kate5 on Windows in the next year(s). To this end, we are currently discussing having a joint Kate/KDevelop/Windows developer sprint early next year. You can support this also by donating to the End of Year 2014 fundraiser. Thanks!